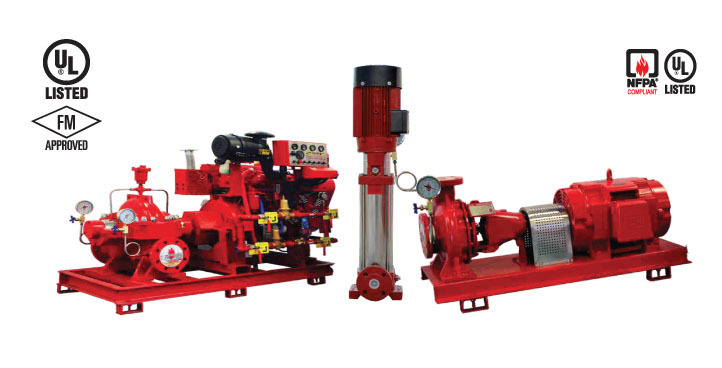 Electrical motor driven fire pump, Diesel engine driven fire pump (with electrical control panel) and an Electrical motor driven Jockey pump are installed. Different accessories such as coupling, pressure meter, pressure switch, regulator, release/relief valves, Y -strainers etc are provided with as well.All pumps used in the fire protection system are of one manufacturer. Foundation of pumps are provided with vibration isolators.